Amazon Web Services (AWS) marked its December quarter with a 44.6 per cent year-on-year revenue increase while launching almost 500 new services and features for its cloud offering. Amazon released its financials for the three months ending December on 1 February, highlighting an overall net sales increase of 38 per cent to US$60.5 billion in the quarter, compared with US$43.7 billion in fourth quarter 2016. Across the board, Amazon reported a profit of US$1.9 billion, the largest in its history. Meanwhile, the company’s AWS business unit reported an accelerated year-on-year revenue growth to 44.6 per cent in the fourth quarter of 2017, delivering over US$5.1 billion in revenue. At the same time, the company said the period also saw it release 497 significant new services and features, bringing the total number of such launches in 2017 to 1,430. According to Technology Business Research (TBR) analyst, Meaghan McGrath, the new services and features bonanza during the quarter is indicative of Amazon’s continuing efforts to maintain its top spot in the market and sit at “the bleeding edge of innovation”. “The business continues to build new data centre regions and innovate around security and databases, but the most notable progression in the portfolio have been in machine learning (ML) and artificial intelligence (AI), as well as IoT and other emerging technology areas,” McGrath said. According to McGrah, TBR expects AWS’ strides to bring its digital assistant from the consumer market to enterprises via its Alexa for Business offering. If it takes root quickly, the new offering will propel the company’s share in the ML and AI space alongside other AI developer services that are closely challenged by Microsoft Azure and Google Cloud functionality. 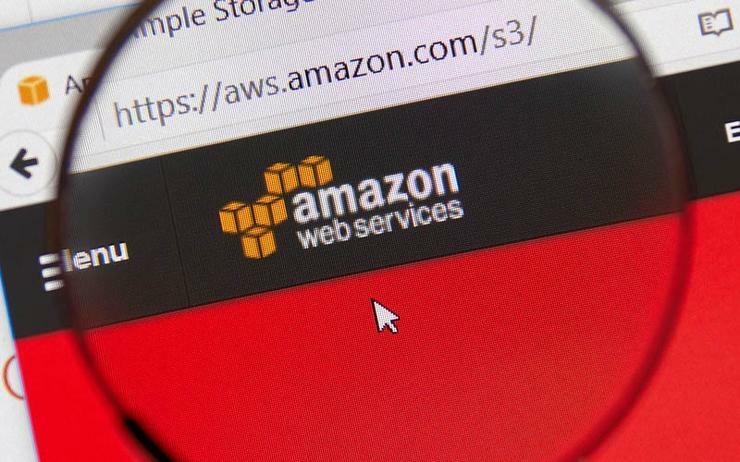 The latest results come around five months after data by analyst firm, Gartner, suggested AWS held 44.2 per cent of the global infrastructure-as-a-service (IaaS) public could services industry market share. To put AWS’ market share into perspective, all other IaaS public cloud services vendors not included in the top five accounted for 41.2 per cent of the global market share, or US$9.15 billion. According to the figures by Gartner, AWS’ revenue in 2016 grew by 45.9 per cent, compared to the previous year, to US$9.78 billion. At the same time, however, the data provided by Gartner suggested that other players in the market, such as Microsoft, Google and Alibaba, could be closing in on the market leader, even if they are approaching from relatively distant starting points. For example, the second-largest player in the market, Microsoft, claimed year-on-year cloud revenue growth of 61.1 per cent, to US$1.58 billion, outstripping AWS’ annual growth, if not its expansion in terms of overall volume. Likewise, the third and fourth-placed runners-up in the rankings, Alibaba and Google, both claimed revenue growth rates in excess of AWS’ 45.9 per cent – 126.5 per cent and 100 per cent respectively.